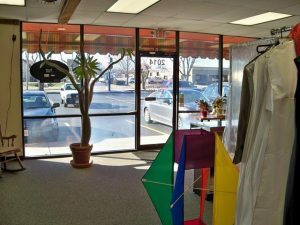 Here at Alterations Unlimited, we feel that serving people in and around the Springfield area of with the most personal custom tailoring services available is one of the most important aspects of our business. We dedicate ourselves to providing quality services and products to everyone, regardless of the size of the job. If you have any questions, please do not hesitate to contact us. We will do our very best to answer all of your questions and to provide references and suggestions if needed. We are more than willing to furnish quotes on any of your future projects. We pride ourselves on a reasonable turnaround time and and personal service. Feel free to explore the rest of our site and hopefully become more aware and confident that everyone at Alterations Unlimited is here to offer you the best services and products possible. 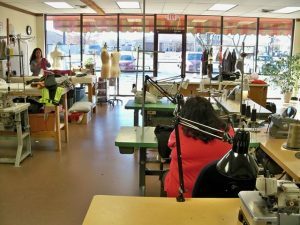 Alterations Unlimited has been in business and serving the industry for over thirty years. When we first began, we were simply a small shop with one thing in mind, to fill the need for quality and affordable alteration services. It quickly became apparent that many people were struggling with finding someone who would “give it to them straight”, do a professional job, with a reasonable turnaround time at an affordable price. As our reputation grew, so did our client base which included a large portion of repeat customers. These repeat clients became our best advertising. As the demand for our services grew, so did the products and services that we began to offer. We made a decision when we first began to always plan for the long term. A long term commitment means long term investments in personnel, training and equipment. You can be confident in the fact that we will still be here in the future to serve any and all of your alteration and linen needs. Our life blood is our clients and that is where we make the greatest commitment of all.